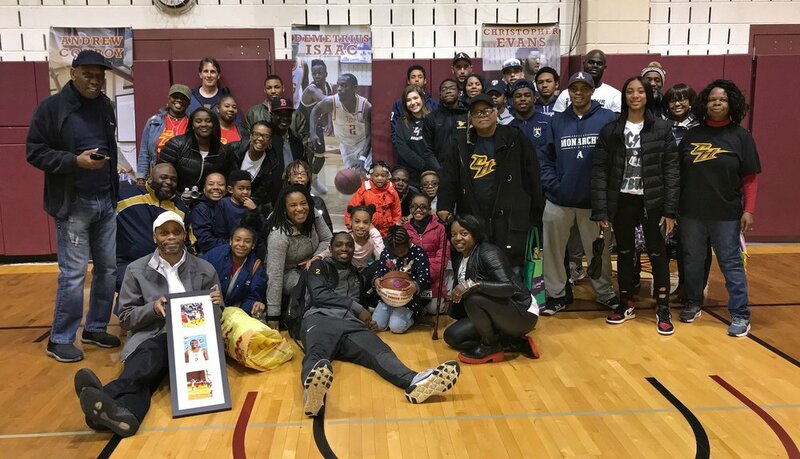 On February 24th, dozens of members of the Monarchs family gathered to honor Demetrius Isaac at Chestnut Hill College Basketball's Senior Night. A graduate of Penn Charter School, "Meech" has had a stellar career for the Griffins. He was a captain during both his junior and senior seasons, and was named the team's MVP in 2017. The first two-sport collegiate athlete in Anderson Monarchs history, Meech now turns his attention to the baseball diamond, where he batted .294 in 2017. An honor role student, he will graduate in May 2018 with a degree in Business Administration and Management. After graduation, Meech hopes to continue his basketball career oversees and is also exploring coaching opportunities. Congratulations to Demetrius Isaac and his parents Ron and Liz on an outstanding college basketball career conducted with class and sportsmanship.